We are 5.11, Inc. a California corporation doing business as 5.11 Tactical, operating out of the United States of America, and with our registered office at 1360 Reynolds Avenue in Irvine, CA 92614 (“5.11”, “we”, “us”, and “our”). 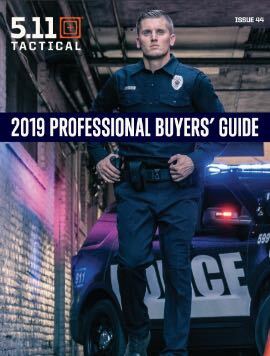 We operate the website and affiliated sites such as (“Website”), and other 5.11 Tactical pages on social media platforms (such as Facebook, Twitter, and the like). For all inquiries related to an online order, including order status, please contact the fulfillment provider i-parcel LLC at If you wish to contact us for product inquires or for any reason unrelated to online orders, including for information on becoming a 5.11 dealer, you can contact us by telephoning our customer service team at +46 40 467388 or by e-mailing us at cs.emea@511Tactical.com. To request information regarding the use of your personal information or for questions regarding personal data, please contact the 5.11’s data protection officer via privacy@511tactical.com. For information regarding returns, please see Your Right to Return and Refund. The images of the Products on our site are for illustrative purposes only. Although we have made every effort to display the colors accurately, we cannot guarantee that your computer's display of the colors accurately reflect the colour of the Products. Your Products may vary slightly from those images. The packaging of the Products may vary from that shown on images on our site. Our shopping pages will guide you through the steps you need to take to place an order with us. Our order process allows you to check and amend any errors before submitting your order to us. Please take the time to read and check your order at each page of the order process. After you place an order, you will receive an e-mail from I-parcel acknowledging that your order has been received. However, please note that this does not mean that your order has been accepted. Acceptance of your order will take place as described in following clause. I-parcel will confirm the acceptance to you by sending you an e-mail that confirms that the Products have been dispatched (Shipping Confirmation). The Contract between you and i-parcel will only be formed when i-parcel sends you the Shipping Confirmation. If you are a business customer and not purchasing on behalf of yourself as an individual consumer, you confirm that you have authority to bind any business on whose behalf you use our site to purchase Products. Our Website operates out of the United States of America. Purchases made through our Website by customers with shipping locations outside of the United States are processed through a third-party, i-Parcel LLC (“i-Parcel”), and not through 5.11. For more information on i-Parcel’s Terms and Conditions of Use, click here. If you order Products from our site for delivery outside of the United States, your order may be subject to import duties and axes which are applied when the delivery reaches that destination. Please note that we have no control over these charges, as they are processed through i-parcel LLC (as specified above) and we cannot predict their amount. There are restrictions on some Products for certain international delivery destinations, so please review the information on that page carefully before ordering Products. You must comply with all applicable laws and regulations of the country for which the Products are destined. We will not be liable or responsible if you break any such law. The prices of the Products will be as quoted on our site at the time you submit your order, exclusive of delivery charges. The price of a Product includes VAT (where applicable) at the applicable current rate chargeable in the destination country for the time being. Our delivery charges are as advised to you during the check-out process, before you confirm your order, and controlled by i-parcel LLC, not 5.11. Any inquires related to the rate of VAT or delivery charges will need to be directed to the payment processing and shipping vendor, i-parcel LLC (please see “International Delivery”). Prices for our Products may change from time to time, but changes will not affect any order you have already placed. We take all reasonable care to ensure that the prices of Products are correct at the time when the relevant information was entered onto the system. However, our site contains a large number of Products and despite our reasonable efforts, if is always possible that some of the Products on our site may be incorrectly priced. If this occurs, please contact us at cs.emea@511Tactical.com and we will help you to get the discrepancy corrected through i-parcel. OWe may revise these Terms as they apply to your order from time to time to reflect changes in relevant laws and regulatory requirements. Every time you order Products from us, the Terms in force at the time of your order will apply to the Contract between you and us. If we have to revise these Terms as they apply to your order, we will contact you to give you reasonable advance notice of the changes and let you know how to cancel the Contract if you are not happy with the changes. You may cancel either in respect of all the affected Products or just the Products you have yet to receive. If you opt to cancel, you will have to return (at our cost) any relevant Products you have already received, and we will arrange a full refund of the price you have paid, including any delivery charges. Purchases made through our Website by customers with shipping locations outside of the United States are processed through a third-party, i-Parcel LLC (“i-Parcel”), and not through 5.11. For more information on i-Parcel’s Terms and Conditions of Use, visit . If you are a consumer purchasing from our Website, you may return your merchandise within 30-days upon receipt of your product. However, as your original order was processed by i-parcel LLC, and out of 5.11’s control, you will need to contact i-parcel to process any return or to cancel a Contract. No international exchanges are allowed. Merchandise much be returned to i-parcel and make a new purchase for the replacement product. For more information on returns, including the returns address, printable returns labels and information about authorised carriers and how to arrange a return, please visit International Customer Returns at: Because you are a consumer, we are under a legal duty to supply Products that are in conformity with this Contract. As a consumer, you have legal rights in relation to Products that are faulty or not as described. These legal rights are not affected by your right of return and refund in this clause or anything else in these Terms. If you are a consumer, this warranty is in addition to, and does not affect, your legal rights in relation to Products that are faulty or not as described. Defective products under the Swedish Konsumentköplagen or any equivalent legislation in the European Union. We will not be liable or responsible for any failure to perform, or delay in performance of, any of our obligations under a Contract that is caused by an Event Outside Our Control. An Event Outside Our Control is defined below. An Event Outside Our Control means any act or event beyond our reasonable control, including without limitation strikes, lock-outs or other industrial action by third parties, civil commotion, riot, invasion, terrorist attack or threat of terrorist attack, war (whether declared or not) or threat or preparation for war, fire, explosion, storm, flood, earthquake, subsidence, epidemic or other natural disaster, or failure of public or private telecommunications networks or impossibility of the use of railways, shipping, aircraft, motor transport or other means of public or private transport. If an Event Outside Our Control takes place that affects the performance of our obligations under a Contract: We will contact you as soon as reasonably possible to notify you; and Our obligations under a Contract will be suspended and the time for performance of our obligations will be extended for the duration of the Event Outside Our Control. Where the Event Outside Our Control affects our delivery of Products to you, we will arrange a new delivery date with you after the Event Outside Our Control is over. You may cancel a Contract affected by an Event Outside Our Control which has continued for more than 30 days. To cancel please contact us. If you opt to cancel, you will have to return (at our cost) any relevant Products you have already received and we will refund the price you have paid, including any delivery charges. We may transfer our rights and obligations under a Contract to another organisation, but this will not affect your rights or our obligations under these Terms. You may only transfer your rights or your obligations under these Terms to another person if we agree in writing. However if you are a consumer and you have purchased a Product as a gift, you may transfer the benefit of our warranty to the recipient of the gift without needing to ask our consent. This Contract is between you and us. No other person shall have any rights to enforce any of its terms. However, if you are a consumer, the recipient of your gift of a Product will have the benefit of our warranty, but we and you will not need their consent to cancel or make any changes to these Terms. Each of the paragraphs of these Terms operates separately. If any court or relevant authority decides that any of them are unlawful or unenforceable, the remaining paragraphs will remain in full force and effect. If you are a consumer, please note that these Terms are governed by Swedish law. This means a Contract for the purchase of Products through our site and any dispute or claim arising out of or in connection with it will be governed by Swedish law. You and we both agree to that the courts of Sweden will have non-exclusive jurisdiction. If you are a resident of a different EU state then you may also bring proceedings in that state. If you are a business, a Contract and any dispute or claim arising out of or in connection with it or its subject matter or formation (including non-contractual disputes or claims) shall be governed by and construed in accordance with the law of England. If you are a business, we both irrevocably agree that the courts of England shall have exclusive jurisdiction to settle any dispute or claim arising out of or in connection with a Contract or its subject matter or formation (including non-contractual disputes or claims). 1. 5.11, Inc., a California corporation and its parents, subsidiaries, and its affiliated entities (the "Company"), collects and processes personal data regarding you as a customer. In several cases the Company requires personal data with the purpose of fulfilling legal or contractual demands or demands which are necessary for entering into an agreement with a customer. If the data subject does not provide the Company with the required personal data, the Company may not be able to enter into or fulfil its obligations under an agreement with the data subject. In the paragraphs below you will find information regarding our processing of your personal data. 2. In order to enter into and maintain agreements with our customers, the Company processes personal data related to customers or representatives of customers. Personal data may also be processed on the basis of customers’ consent. Certain personal data can also be processed on the basis of legal obligations of the Company, for example personal information on invoices on account of accounting obligations. 3. The Company processes personal data relating to customers, such as name, phone number, IP-address, e-mail address, personal identity number and historical data regarding purchases and payment. The Company may also process name and personal identity number for guarantors related to the customer agreements. Further, the Company may process personal data related to potential customers, such as name, phone number, IP-address and e-mail address. 4. The primary recipients of the personal data are persons at the Company’s sales department which are relevant to the customer’s agreement, the financial department, the marketing department, managers and administrators of the agreement. Helpdesk and technicians may also receive the data. 5. In cases where there is an existing customer agreement, the Company only processes personal data which is of relevance for the customer relationship and that is required in order to fulfil the agreement. Personal data such as names, e-mail addresses and phone numbers of customers is processed in order to administrate the customer agreement and to keep a dialogue with the customer. Personal data such as personal identity number or driver’s license is only processed if it is necessary in order to administrate invoicing, credit worthiness and similar activities. Personal data may also be processed for the purpose of sending offers and adverts of interest to the customer. However, customers have the right to, at any moment, object to the processing of their personal data for the purpose of direct marketing. 6. The Company does not store personal data longer than necessary in relation to the purpose for which the data was processed. Therefore, the Company performs screenings of stored personal data on a regular basis and removes data which is no longer necessary. The Company may need to store personal data for a period of time even after the customer relationship has been terminated, if such storage is necessary in order to administrate possible warranties and limitation periods of complaints, handle possible legal claims against the Company or in order to promote services and send offers which the Company believes may be of interest to our former customers. Exceptionally, personal data may therefore be stored during some time after the termination of the customer relationship or until the person being subject of the data has objected to direct marketing. It may also be necessary for the Company to store personal data generally, in order to fulfil legal obligations regarding accounting, for example. If such obligations are at hand the personal data may be stored for up to seven years. 8. When the Company collects, processes and stores personal data, it shall be conducted in a legal, correct and open manner and in accordance with the purpose of the processing and only to the extent deemed necessary by the Company. The Company shall continuously process personal data in a manner aiming at avoiding a violation of the data subject’s personal integrity. In every case of processing personal data the Company is strictly ensuring that the personal data is protected by appropriate safety measures. 9. The Company may, from time to time, be required to submit information to a relevant third party (including but not limited to situations where the Company has a legal obligation to do so). To ensure that your personal data is processed in a safe manner in every such situation, the Company regularly drafts agreements (such as data processor agreements) with every third party processing personal data on behalf of the Company. Such agreements always state the subject of the processing, the duration, kind and purpose of the processing, the type of personal data and categories of data subjects and the Company’s obligations and rights as data controller. Further, the Company always provides the data processor with documented instructions which the data processor is obliged to follow. 10. As data subject you have a right to turn to the Company, as data controller, and request access to the personal data related to you and processed by the Company. You also have the right to request information about the personal data, such as the purpose of the processing and the recipients of the data. As data controller, the Company shall provide you as data subject with a copy regarding the processed personal data, free of charge. If you request further copies, the Company may charge an administration fee. 11. As data subject you also have the right to, without undue delay, have your personal data rectified or, under certain circumstances, limited or deleted. If you believe that the Company is processing personal data regarding you which is inaccurate or incomplete, you may request to have them rectified or completed. Further, you have the right to have your personal data deleted if, among other, the data no longer is necessary or if the processing is based on consent which has been withdrawn. If you request to have your personal data rectified, deleted or limited in process, the Company as data processor shall regularly, if possible with reasonable effort, notify every recipient of the personal data of your request. 12. As data subject you have the right to, at any moment, object to the processing of your personal data if the legal basis of the processing is public interest or a balance of interests in accordance with article 6.1 (e) and (f) in the General Data Protection Regulation. You also have the right to, at any moment, object to the process of your personal data if the data is processed for the purpose of direct marketing. 13. As data subject you have the right to receive the personal data that you have provided the Company with and transmit this data to another controller (data portability), provided that such portability is technically possible and that the legal basis for processing data is consent or that the processing has been necessary for the fulfilment of an agreement. 14. If the processing of personal data is based on consent, as data subject you have the right to, at any time, withdraw your consent. Such withdrawal does not affect the legality of the processing of data before the consent was withdrawn. 15. As data subject you also have the right to not be subject to decisions based on automated decision making alone, including profiling, and which may lead to legal consequences for you. This right does not apply if such processing is necessary in order for the Company to enter into or fulfil an agreement with you, if such processing is allowed according to applicable legislation, or if the legal basis for such processing is your consent. 16. As data subject you have the right to file a complaint to the Swedish Data Protection Authority (Sw: Datainspektionen). Contact information to the Swedish Data Protection Authority can be found at the authority’s website. 17. For questions or requests regarding personal data, please contact the Company’s data protection officer via privacy@511tactical.com. 19. A cookie is a small file that contains information sent by a website that is saved on your hard disk by your computer’s browser. Cookies store information that a website may need in order to personalize your experience and gather website statistical data. Any time you visit our Website to browse or to read or download information, we collect and store the name of the domain and host from which you access the Internet (for example, msn.com, google.com, etc. ); the Internet protocol address of the computer you are using; the browser software you use and your operating system; the date and time you access our Website; and the Internet address of the website from which you linked directly to our Website. We use this information to measure the number of visitors to areas of our Website, and to help us make our Website more useful and interesting to our visitors. We use information from cookies in the aggregate to analyze for trends and statistics, and then discard it. Strictly necessary cookies. These are cookies that are required for the operation of our website. They include, for example, cookies that enable you to log into secure areas of our website, use a shopping cart or make use of e-billing services. You may refuse to accept browser cookies by activating the appropriate setting on your browser. However, if you select this setting you may be unable to access certain parts of our Website.